In 1836, James Clarke Built this brick store across from the renowned Burwell-Morgan Merchant Mill, in the flourishing village of Millwood, Virginia. He began a tradition of serving locals and travelers alike that remains unbroken to this day. When the great Shenandoah land rush of the 1730’s began, the heart of the lower valley already belonged to Robert “King” Carter, who left it to his Burwell descendents. Millwood, with its generous and vigorous Spout Run, was their local seat, and became the first and foremost manufacturing center of what was then eastern Frederick County (1792). The “Great Merchant’s Mill” (built with Daniel Morgan in 1785) was its engine, run by shifts of six slaves, up to three shifts per day in periods of high demand. A store house for trade goods and slaves’ allotments of necessities was in place to the north of the mill by 1805, likely the log building directly next to the store. Millwood was largely a slave settlement until the Civil War, and many of those slaves’ descendants are our neighbors and customers today. In 1836 James H. Clarke built a large frame house and a large brick store on separate Burwell lots, and in 1842 took title to them, beginning an unbroken succession of storekeeping here. 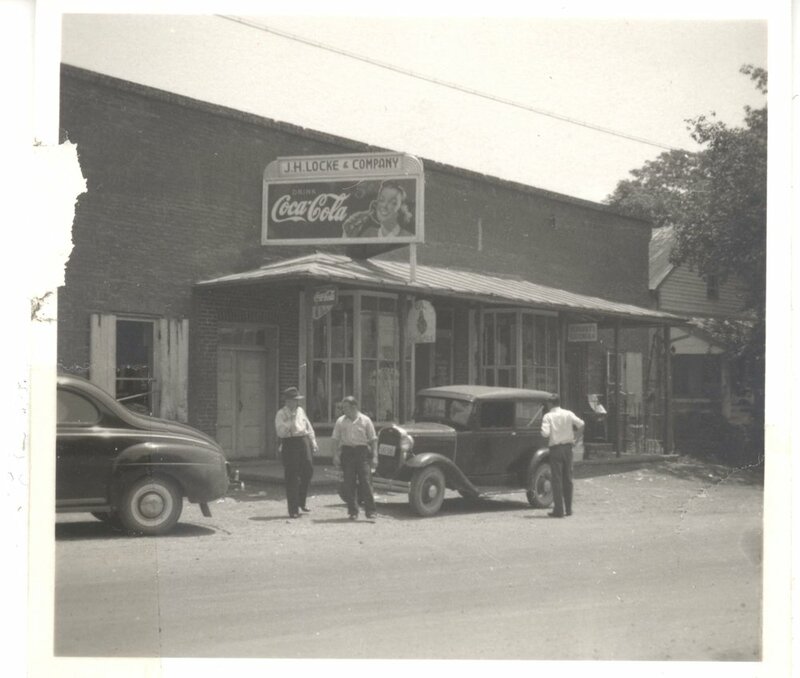 This store would not have survived without the long and loving stewardship of our predecessors, including Phil and Oppie Cunningham, who started as employees at Locke and Co. in 1944, taking title to the premises in 1956. After a 58 year tenure of the Cunningham brothers, Juliet Mackay-Smith purchased the store in 2002, becoming only the seventh proprietor in the store’s 178 year history. For the past 16 years she has ushered in and developed yet another era of “modern country” for this charming and communal store in the historic village of Millwood, Virginia.